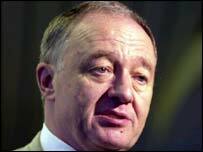 Students at the School of Oriental and African Studies (SOAS) have appointed Mayor Ken Livingstone their first ever honorary president. A statement from the Students Union said the motion "was a symbol of support for a man who has been a champion of many liberation campaigns." It said he had been at the receiving end of a biased media campaign aimed at discrediting attempts for diversity. The SOAS student union resolution was agreed on Friday. The motion noted the mayor's work to promote the memory of Jewish history and his support for lesbian and gay rights in London. It also said he had "stood firm" against slanders on the Muslim community and that he had been a "long-term ally of students". "He was one of the few MPs to oppose fees and the loss of the grant in 1998 and is a firm opponent of top-up fees," it said. Ken Livingstone said: "I am delighted to have received such support from SOAS students for my policies to oppose racism and promote London as a city of tolerance and multi-culturalism. "SOAS is a university college with a diverse student population reflecting London's position as a great world city."